From a $5,000 investment in 1963, Mary Kay has grown to become one of the largest direct sellers of skin care and color cosmetic companies in the world. Today, with more than 3 million Independent Beauty Consultants, Mary Kay offers more than 200 premium products in more than 35 countries around the world. For 50 years, Mary Kay has helped women discover products that they love: innovative skin care, irresistible makeup and unforgettable fragrances. At the same time, the Mary Kay business opportunity has helped women from Kansas to Kazakhstan, discover extra income, empowered choices and true beauty from the inside out. 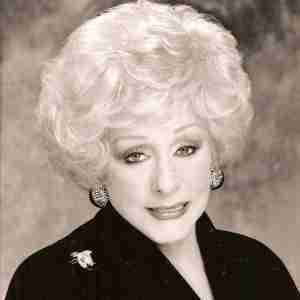 Who Was Mary Kay Ash? When Mary Kay Ash “retired” from her successful career in direct sales in early 1963, she decided to write a book to help women survive in the male-dominated business world. She made two lists. One contained things the companies for which she had worked had done right, the other included the things she felt they could have done better. When she reviewed the lists, Mary Kay realized that she had inadvertently created a marketing plan for a dream company – one which would provide women with open ended potential to achieve personal and financial success. Mary Kay Ash was an original. As an entrepreneur and a philanthropist, she started her business from a tiny store in Dallas, Texas, with five products and one big dream. Beauty by Mary Kay opened for business on that goodly Friday in 1963 and that dream, that business, was to inspire women to transform their lives, and in doing so, help other women achieve success. Mary Kay has a long-established history of helping others – a philosophy that Mary Kay Ash was passionate about. In that heartfelt spirit, the global Mary Kay® charitable program, Beauty That Counts®, is making the world more beautiful – inside and out. See where these programs have been making a difference. Throughout her life, Mary Kay Ash showed others how to live and how to give. She gave hope to women who lacked opportunity and self-esteem and financial support to the causes she believed in. Have her death on Thanksgiving Day 2001, her legacy of love continues through the The Mary Kay Foundation, which she began in 1996. It is committed to eliminating cancers affecting women by supporting top medical scientists who are searching for a cure for breast, uterine, cervical and ovarian cancers. It is committed to ending the epidemic of domestic violence by providing grants to women’s shelters and supporting community outreach programs. Since the Foundation began in 1996, it has granted $54 million dollars to organizations fighting cancer and violence against women. Learn more about The Mary Kay Foundation here.